As a plumbing and heating engineer, your job is considered as high risk. With each project you take on, you’re involved with potentially hazardous situations. You may be working at height on an unfinished building. You may be working in challenging conditions in a basement excavation. Or you may be working with gas and heat at a residential development, close to the other residences and the people living in them. Each situation can, potentially, expose you to personal or financial risk. When you work with Construction Insure, we’ll make sure that your risks are minimised and your financial liability is protected. Why do you need Plumbing and Heating Liability insurance? Public Liability covers you for any damage caused to third party property. So, it’s vital protection for you when you’re working on a client’s or contractor’s property or build. You need to be aware that it is essential that you declare all the activities you are undertaking. And, importantly, whether the work you’re doing is for residential or commercial premises. Bear in mind too, that any omissions or inaccuracies will mean the insurers will not pay your claim. 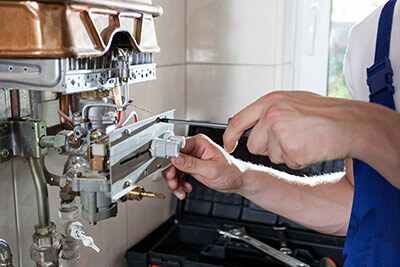 Few plumbing and heating jobs are as straightforward as they first appear, or go as smoothly as you’d like them to. Insurance is about covering you for any possible problems and for unexpected complications. For instance, you may be using your own staff, or sub-contractors, on a construction site. Employers Liability will cover you for any mishap that happens to your staff whilst they are working for you on site. Again, when you obtain an insurance quote you must declare the correct wage roll and the correct number of staff. Otherwise you will invalidate your policy. If you are undertaking works for a large contractor, working as a subcontractor, having the correct levels of Public Liability and Employers Liability in place is a necessity, to not only cover yourself but also the building contractor. It may sound complex, but don’t worry, whichever policy you need, it’s our job to work with you to find out the details of your project and ensure you’re fully covered. Whatever your plumbing and heating insurance requirements, please get in touch today for a free no obligation quotation. Other ways that Plumbing & Heating Engineers Insurance can help you. If you’re working on a contractor’s property development or building site, you can’t always rely on the main contractor to fully insure you against problems that may occur on site. We can work with you to highlight potential issues on the build and to make sure you’re protected, financially and legally. For instance, you may unknowingly use faulty parts that fail, resulting in a flooded basement or water damage to new ceilings or expensive flooring. Or you may have to quickly replace tools and equipment that may have been damaged or stolen from the site. Perhaps you’re working in a residential area. You need to be covered in the case of accidental damage to nearby houses or even injury to members of the public. We have the experience and resources to make sure that all of these eventualities can be covered and your livelihood and income aren’t put at risk. Working with one Insurance Company can help you save money, in fact at Construction Insure we can produce tailor made insurances so that you are fully protected. Often having multiple insurances on one policy will reduce your premiums without reducing the level of cover or leaving you in a situation where you have cross-overs between differing policies. We will collect several quotations on your behalf for you to consider. It’s our experience, our understanding of the plumbing & heating industry and our range of contacts that makes us different from other brokers. We know we can find you cover for even the most complex projects. But don’t take our word for it. Call us on 020 3958 6868 and talk to us about what you need insured. Then let us show you how Construction Insure work for you, and with you, to get you the best insurance package.